Dr. Ernst Kürsten (managing director of Wood Report) is a forest scientist with special knowledge in wood technology and wood preservation. Since 1996 he was working as an expert in wood preservation and played a major role in the development of http://www.holzfragen.de. This website today is well known and widely used in Germany concerning questions related to wood preservation. In 1998/1999 he mainly was employed as a scientific consultant for the Deutschen Messe AG to prepare the LIGNAplus fair 1999. From 1996 to 1999 he authored the press releases of the Deutsche Messe AG concerning the LIGNA fair. 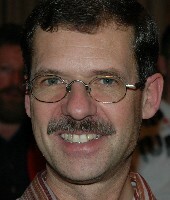 Since 1998 he occasionally is writing reports for the "Holz-Zentralblatt" and for some woodworking industry companies. From 2001 to 2006 he was employed at the Institute of Wood Biology and Technology of the University of Göttingen as the co-ordinator of the international PhD-Programme "Wood Biology and Technology" and as a lecturer. In addition he organised a training course "Beech wood: From forestry to end products" and served as a German delegate of COST Action E31 "Recovered Wood". He is a member of the International Association for Technical Issues related to Wood and of the Federation of German Wood Scientists. From June 2007 till December 2008, Dr. Kürsten served as a lecturer at the Forest Research Institute University in Dehradun, funded by the German Academic Exchange Service. Earlier he already had prepared a webpage on information sources on forestry and the forest products industry in India (in German only, but with many links and citations in English). From January 2009 till April 2012 Dr. Kürsten worked as "Network Manager Timber Trade" and "Head of International Cooperation" at the Holzfachschule Bad Wildungen. In summer 2009 he was involved in a project to improve the competitiveness of the forest products industry in Rwanda (see presentation "Wood use in Rwanda´s construction industry").